On the 12th of April 2016, STOM was born out of a collaboration between Thunder Match Technology, Intel and Microsoft. One of the two debut devices they launched was the STOM PC Stick. Techies will immediately recognise the STOM PC Stick for what it is – their version of the Intel Compute Stick, manufactured by ECS. 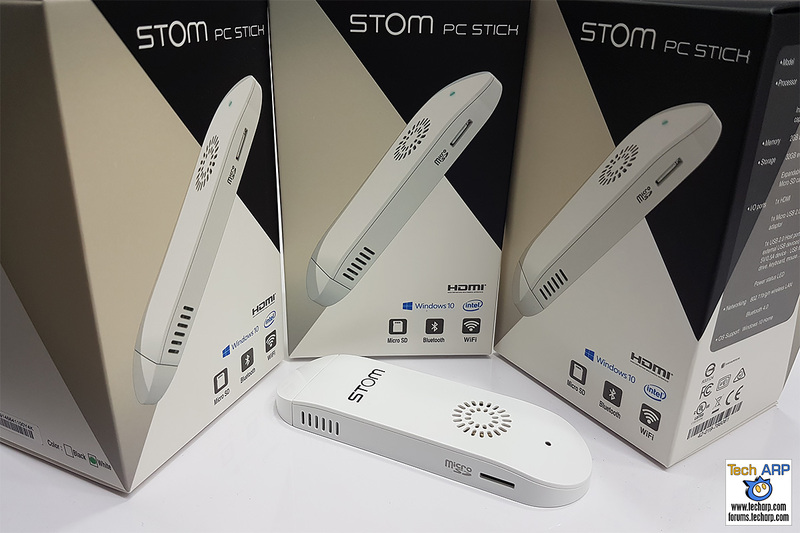 The STOM PC Stick is powered by the same quad-core Intel Atom Z3735F processor used by the STOM Spectrum i100 2-in-1 laptop, and runs on Microsoft Windows 10. It also comes with 2 GB of DDR3L memory and 32 GB of eMMC flash storage. If you are worried about expansion or connectivity, the STOM PC Stick comes with two USB 2.0 slots (one standard port, and one micro port). It even connects to wireless devices using WiFi (802.11b/g/n) or Bluetooth. Once you plug it into a HDMI display, it runs like the STOM Spectrum i100. In other words, you are pretty much carrying the computing power of the STOM Spectrum i100 laptop in your pocket! During the launch event, we had the opportunity to check out the STOM PC Stick up close. Take a look at the video we recorded. The STOM PC Stick will retail for RM 599 / ~US$ 149, with one-year local warranty for parts and labour at 51 service centers nationwide. As an early bird offer, the first 500 units will be sold at just RM 399 / ~US$ 100.